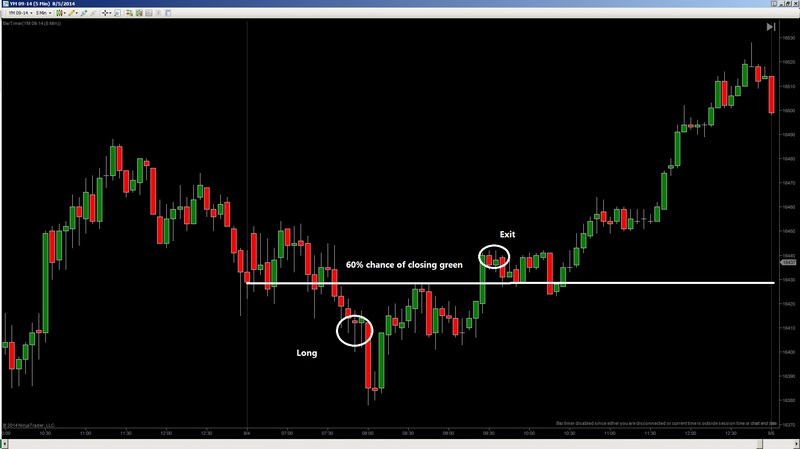 Statistical odds for the YM futures were bullish with 60% chance of closing green. I waited for the market to drop a bit according to my intraday VSA rules and got long. I exited when I saw a large range spike, thinking the market would come back a little before moving forward. That was pretty dumb of me, but at least it’s a profit.